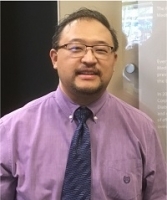 Anthony C. Ng has 25 years of engineering/management experience in developing medical devices and telco products such as Body Area Network enabled wearable insulin pumps, life-support ventilators for ICU (Intensive Care Units), Implanted Cardiac Defibrillator (ICD), and industrial handheld testers for Wi-Fi, Fiber Channel, and 10/100 Gbps Ethernet. Anthony holds an MBA degree and a Master’s and a Bachelor’s degree in Electrical Engineering. He is a Senior Member of IEEE. He also served as corporate voting members in industry standards development organizations such as TIA, IEEE, and BICSI. He was a licensed Professional Engineer in Ontario, Canada.